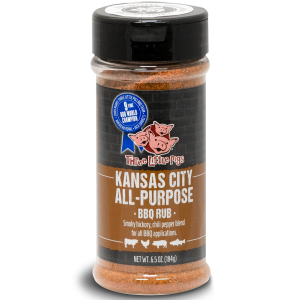 Three Little Pigs Kansas City All Purpose BBQ Rub (6.5 OZ. SHAKER) . Three Little Pigs All-Purpose BBQ Seasoning is an all-around seasoning that tastes good on almost anything!